Get Lovely Jazz Queen Dresses, Gowns & Outfits for “A Night at the Cotton Club!” We have Harlem Renaissance Attire for Ladies and Gents. Don’t miss Verb Kulture’s incredible annual Harlem Renaissance event this June 30th! Featuring food, drinks, dancing and many live bands playing hits from the 20s, 30s and 40s! Retro attire is mandatory, find great vintage-inspired outfits for men and women at Dallas Vintage Shop! Check out our extensive Costume Categories for more 20’s, 30’s, 40’s, Jazz Age, Prohibition Era, Harlem Renaissance, Cotton Club, Black Historical Characters and more. “In Honor of Black Music Month Verb Kulture Ent. And Shelley Carrol Jazz Presents: 5th Annual Harlem Nights Extravaganza “A NIGHT AT THE COTTON CLUB” June 30, 2018 7:30 pm ALL ABOARD!!!! The A-Train will be arriving soon. Don’t miss out. Here is a fantastic opportunity for those planning on attending the 5th Annual Harlem Renaissance Festival and Extravaganza: Night at the Cotton Club taking place on June 30, 2018. A Night at the Cotton Club Costumes provided by Dallas Vintage Shop. 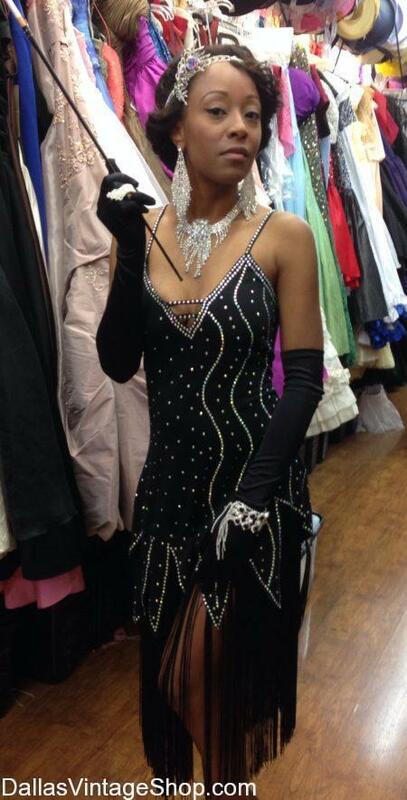 See More A Night at the Cotton Club Costumes. You are in 2019 06/22 6th Annual Harlem Renaissance Extravaganza: A Night at the Cotton Club category.